One of our jobs for our U.S. clients is to look two to three years ahead, figure out where wars will raging, where economic meltdowns will be occurring, and where political disasters are looming – then take our clients elsewhere! The key to successful international business is constant monitoring of the economies around the world and being ready to move quickly to higher potential and calmer countries. Why do we need to do all this? 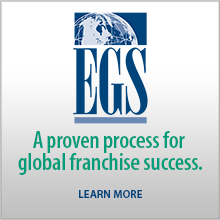 Our company exports U.S. franchise brands. We act as an outsourced international development department for brands such as Build-A- Bear Workshop®, Denny’s®, International Dairy Queen, Lawry’s® The Prime Rib, Massage Heights®, Everlast Fitness® and Mosquito Squad®. One of our primary tasks is helping the brands prioritize the countries they enter, focusing on countries that have the highest ROI potential for the specific brand. Recently, the CEO of one of the brands we work with told me that our job was to look two to three years ahead, figure out where the wars will be and take them elsewhere. It turns out this is just a little bit funny – while at the same time being quite serious. I would restate this to looking two to three years ahead not only to determine the potential for war, but also the potential for economic meltdowns and political disasters. 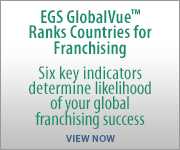 This is important due to the fact that it can take two to three years to find and sign a country licensee, and then another one to two years to get the first unit of the franchise open in a country. How do we do this? Research, research and more research. We subscribe to 25 international business data and analysis sources. We have team members on the ground in 32 countries. And our US-based executive team collectively has 120 years of international experience living and working in over 69 countries. We have a full time Director of Research who monitors our sources and watches for trends. That being said, there are still ‘exciting’ events that change the potential for finding investors in a target country that are ready and willing to make the new investment required to acquire the license of one of our U.S. franchise brands. Two examples are the recent United Kingdom Brexit vote and the disintegration of Turkey as a place to do business. No one really thought about what the consequences of actually voting to leave the European Union would be. Now we are beginning to see consequences – and all is not good. Where were the adults when this was happening? I lived in Turkey in the mid 1980s and it was a great place to reside and to work. It was the world’s only secular, Muslim democracy. Turkey had a female Supreme Court judge before the USA, and a female Prime Minister in the 1990s. Over the past 10 years, things have gradually changed, and now Turkey is no longer secular and it is not really a democracy. The Ottoman Sultan seems to have returned after 100 years. The rapid GDP growth rate is being replaced with the rapid growth of inflation. In recent weeks, inward investment has stopped, and Turkish business people are not making any new investments. Our company has closed our office in Istanbul. At the end of the day we have learned that constant research is key to looking ahead. We have also learned that there will always be surprises. The key to successful international business is constant monitoring of the economies around the world and being ready to move quickly to higher potential and calmer countries. A version of this blog first appeared In the Fall 2016 edition of the International Executive Resources Group (IERG) Fall 2016 ‘IERG Connect’ newsletter. ©2013 - 2019 GeoWizard Inc. All Rights Reserved.